The current FDA regulatory paradigm for new product approvals, label expansions and manufacturing changes has been in place for more than 50 years. According to many involved in the system, it’s expensive, inefficient, and frustrating to sponsors and regulators alike. The Dynamic Dossier in the Cloud represents an innovative approach to support FDA and sponsor collaboration using artificial intelligence, machine learning and predictive analytic techniques in a modern cloud-based architecture. It promises streamlined approvals of new products that address unmet needs, significant operating efficiencies for sponsors and FDA, and improved patient safety. This project is being advanced within the NEWDIGS safe haven, pre-competitive environment, with the MIT Center for Biomedical Innovation serving as neutral intermediary. 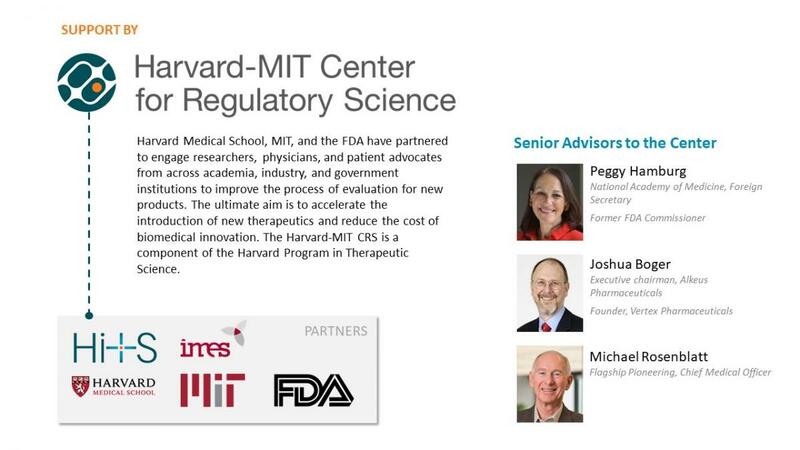 It leverages proven NEWDIGS methods and tools for collaborative system innovation and MIT expertise in data science, digital health and systems engineering, while the Harvard-MIT Center for Regulatory Science provides expertise in biomedical informatics, initial funding, and an avenue for FDA interaction. Download a printable Project Description here. Learn more about LEAPS here. Learn more about the LEAPS Incubator here.